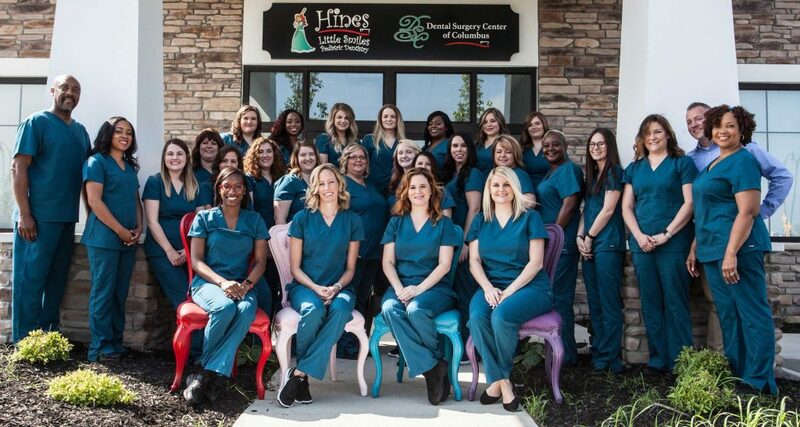 Hines Little Smiles is proud to be one of the leading pediatric dental practices in the Columbus area. Each one of our team members has special training and experience in working with children, and many many of us have children of our own. We all love the work we do here, and we share a common goal: to give your child a positive and fun dental health experience that will stay with them well into adulthood. We love getting to know each patient, parent, and family that visits our office, and invite you to begin getting to know the Hines Little Smiles family by clicking on the links below. We are proud of our team. They embody our three core values of teamwork, integrity and professionalism in eveything they do. We look forward to serving you and your children at our office!